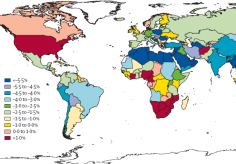 More than half of the countries around the world are lowering maternal and child mortality at an accelerated rate, according to the study Progress towards Millennium Development Goals 4 and 5 on maternal and child mortality: an updated systematic analysis. This study, conducted by researchers at IHME and the University of Queensland, shows that international efforts to address maternal and child health challenges appear to be working in many places. In 2000, 189 heads of state signed the Millennium Declaration, committing to achieve eight development goals for their countries. The target for Millennium Development Goal (MDG) 4 was to reduce the under-5 mortality rate by two-thirds between 1990 and 2015, and the target for MDG 5 was to reduce the maternal mortality ratio by three-quarters during the same time period. With four years until 2015, progress towards MDGs 4 and 5 needs to be monitored. This study was designed to update previous estimates of maternal and child mortality using additional data and more robust methods to provide the best available evidence for tracking progress on MDGs 4 and 5. Under-5 deaths have continued to decline from 11.6 million in 1990 to 7.2 million deaths in 2011. Of the deaths in 2011, 2.2 million were early neonatal (0 to 6 days), 0.7 million were late neonatal (7 to 28 days), 2.1 million were postneonatal (29 to 364 days), and 2.2 million were during childhood (1 to 4 years). Comparing rates of decline from 1990 to 2000 with 2000 to 2011 shows that 106 countries have accelerated declines in child mortality over the past decade. 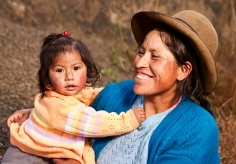 Maternal mortality has also continued to decline, from 409,100 deaths in 1990 to 273,500 deaths in 2011. In 125 countries, maternal mortality has declined faster since 2000, and the progress has been particularly strong in the past five years. The researchers estimate that 31 developing countries will achieve MDG 4, and 13 developing countries will achieve MDG 5. Of those countries, nine will achieve both goals: China, Egypt, Iran, Libya, Maldives, Mongolia, Peru, Syria, and Tunisia. 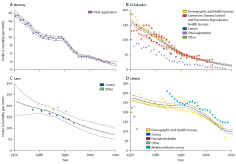 The authors updated the research published in 2010 to estimate maternal and child mortality, using additional surveys, censuses, and vital registration and verbal autopsy data. Child mortality was estimated with a method developed by IHME, published in 2010. To update estimates of the trends in child mortality for this study, new data for 163 countries were included. For maternal mortality, an additional 1,000 site-years of data were included, and an ensemble model was used, which is a weighted average of individual component models. The authors assessed over 3,800 combinations of covariates and retained 169 sets of covariates for inclusion in the final ensemble model, which has the lowest out-of-sample root mean squared error of the models tested, predicts trends well, and captures over 97% of all of the observations in its 95% uncertainty interval. Even though progress on reducing maternal and child mortality is accelerating in most countries, most developing countries will take many years past 2015 to achieve the targets of MDGs 4 and 5. However, despite overall progress, four countries show increases in under-5 mortality and 20 developing countries show no progress or increases in maternal mortality. The authors note that while many proven intervention strategies are available for both children and mothers, bottlenecks in health systems may prevent these strategies from being implemented. In looking for key drivers for the mortality declines, the researchers point to global health programs, such as the scale-up of insecticide-treated bed nets in countries with a high malaria burden, and to country-level programs, such as the government of India’s ongoing investment in rural health clinics. It will be essential to continue monitoring both under-5 and maternal mortality in order to evaluate how well interventions are working. The authors acknowledge that the new estimates presented in this study may lead to some confusion among policymakers, who have seen a series of analyses on maternal and child deaths in recent years. While some think that these numbers should not be updated every year, the authors believe that regular estimates using the best and most up-to-date methods and data sources are the only way governments, funders, and the general public will be able to gauge the progress achieved.